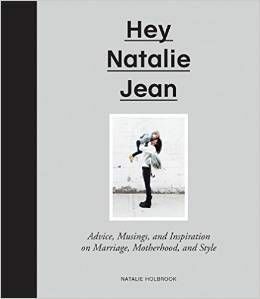 HEY NATALIE JEAN: HAPPY WEEKEND, HOMIES! the penguins at the 81st street subway stop say "stay cool, bro!" I swear it's still Wednesday today, are you sure it's time for a weekend already? The Beebster just installed our window air conditioner unit for the summer--we've already had a week of intense humidity, it's the humidity that does it, man--and this not only means that our bread now has a shot at staying not-moldy for longer than 10 minutes, it also means I might possibly be pleasant to be around again during that magic 1900 "oh-my-gosh-it's-effing-hot-don't-even-LOOK-at-me hour! Isn't that thrilling? And don't you find that you could just hug your air conditioners this week, New Yorkers? I'm telling you. Steamed. Broccoli. Julie Andrews at the two-minute mark. Heart eye emoji. Rescue Bots, roll to the rescue! Jaime Lannister!? How about Peter Dinklage straight chillin' with that naked model!? haha his expression! I can't recommend White Teeth (from the list) highly enough! I consider myself pretty well read so I was disappointed when I was going through the list and I hadn't read any of the books either. Then I saw #12 and almost yelled "Yes! I read that!" then I saw it said Austerlitz not Auschwitz and went back to be disappointed in myself. My favorite post yet! lol ---> We've seen EVERY rescue bots episode over here. And the one where Optimus turns to a dinosaur times a thousand. aw, white teeth is so good! start there!! Jamie frakkin Lannister. Hot damn! Freeze the loaf of bread. It takes a few minutes to thaw a slice, or 30 sec. in the microwave. No more mold. Seeing those penguins just made my Monday!! Also, why is your Millennial crying? Totally cry/laughing! um, I LOVE those penguins. Love them! You should definitely read Fortress of Solitude (from that list)! It's magical and in Gowanus! Just in general, Runaway is great too but if you're going Alice Munro, I'd do Dear Life first (this might be an unpopular opinion)/. I love the 'why is your millenial crying' - brilliant! Ha, I've only read The Brief and Wondrous Life of Oscar Wao, but it was incredible and I highly recommend it. Also, Julie Andrews. She makes everything ok.